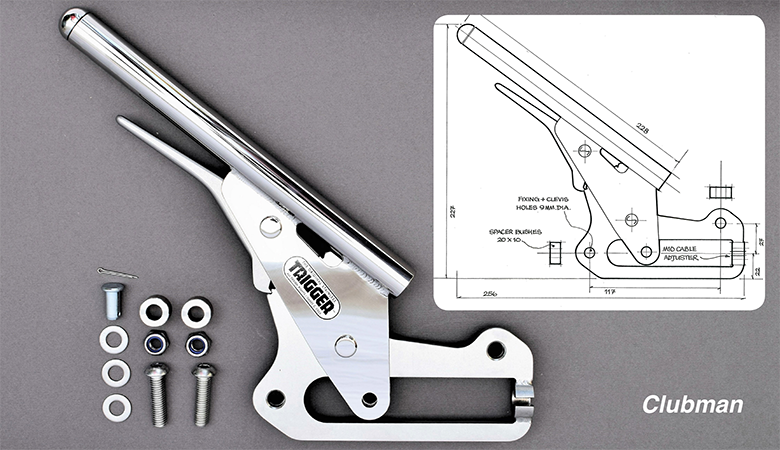 This Trigger handbrake has been designed for roadsters with a high and sometimes narrow transmission tunnel. It is mounted ideally on the passenger side of the tunnel and next to the gear-lever. The Clubman is a traditional type of handbrake for British classic roadsters such as Sevens and Cobras where elbow room is limited; it provides the driver with excellent mechanical advantage and control.